China will have better capability in maritime search, rescue and firefighting as it moves closer to putting the world's largest amphibious aircraft into use. 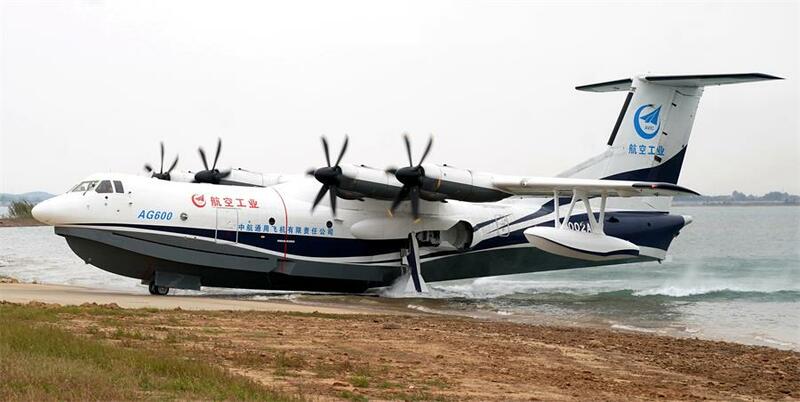 Developed and built by State-owned aircraft giant Aviation Industry Corp of China, the AG600 carried out its first water-based takeoff and landing at Jingmen Zhanghe Airport, one of China's leading amphibious airports in Jingmen, Hubei province, on Saturday. President Xi Jinping sent a congratulatory message to researchers and engineers of the program to express his congratulations, encouraging them to continue to strive to build a strong aviation industry. The success of the first waterborne flight of the AG600 marked another significant achievement through independent innovation by China's aviation industry, Xi said. Leng Yixun, a senior project manager in charge of the AG600, said on Saturday after the water test that AVIC is poised to speed up the aircraft's flight tests and plans to deliver it to users as soon as possible. Once delivered, the AG600 will mainly be tasked with performing maritime search and rescue operations as well as firefighting activities. It can also be refitted to conduct environmental inspections, resource surveys, anti-smuggling operations as well as personnel and supply transport, said Huang Lingcai, chief designer of the AG600. Lu Guangshan, AVIC's chief engineer, explained that the seaplane is very suitable for maritime operations as it is much faster than ships and is more flexible, being able to land on waters that some ships have difficulty approaching. The aircraft is 37 meters long with a wingspan of 38.8 meters, which makes it roughly the size of a Boeing 737. Powered by four domestically designed WJ-6 turboprop engines, the seaplane has a maximum takeoff weight of 53.5 metric tons. These specifications make it the world's largest amphibious aircraft, surpassing Japan's ShinMaywa US-2 and Russia's Beriev Be-200. The aircraft is designed for land and water takeoffs and landings, and has an operational range of more than 4,000 kilometers. It is capable of carrying 50 people, besides the crew. When assigned to fight forest fires, it can collect 12 tons of water from a lake or sea in 20 seconds and then use the water to douse blazes over an area of about 4,000 square meters, according to AVIC. A market prospect report by AVIC forecasts that the market will need about 280 AG600s in the coming decade. Development of the AG600 was approved by the central government in June 2009. Construction of the prototype began in March 2014 and was completed in July 2016. The seaplane made its maiden flight in December in Zhuhai, Guangdong province, taking off and landing at an airport, and it has conducted many land-based test flights since then. The amphibious plane is one of three large-sized aircraft to emerge from the nation's effort to become a top-tier player in the global aviation sector, joining the Y-20 strategic transport plane — delivery of which began in July 2016 to the People's Liberation Army Air Force — and the C919 narrow-body jetliner, which is being flight-tested. The AG600 has become China's second amphibious aircraft after the SH-5, which was developed in the 1970s for military use. More than 10,000 researchers and engineers took part in the AG600 program, AVIC said.